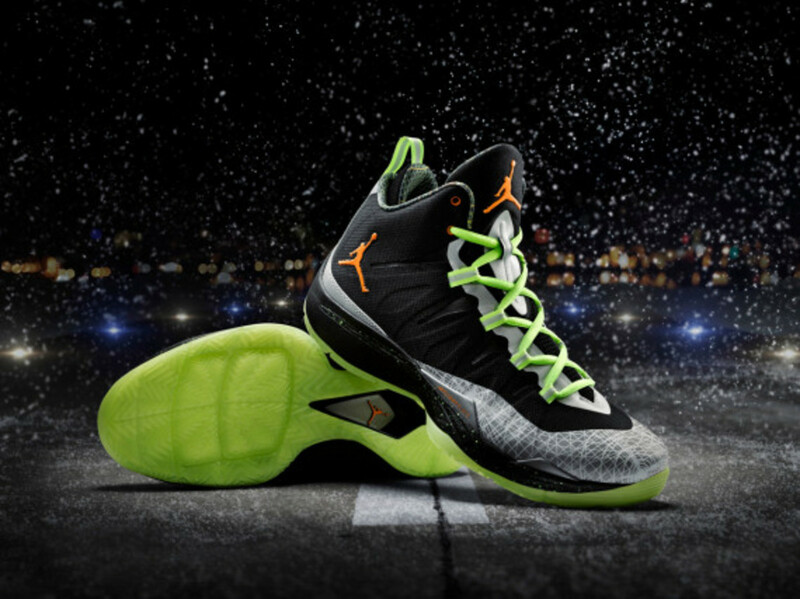 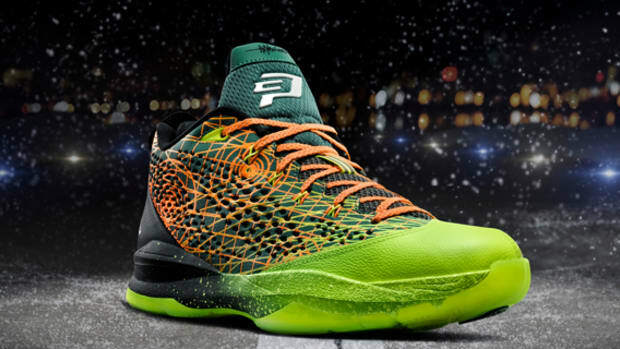 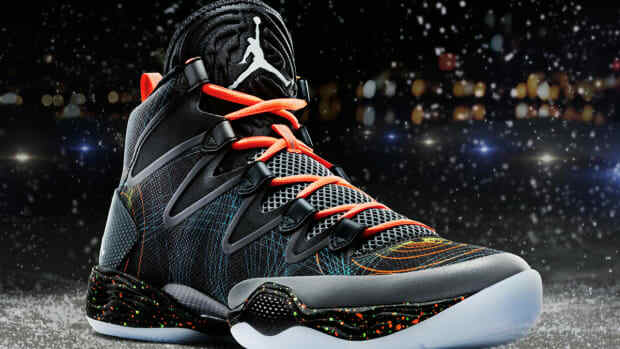 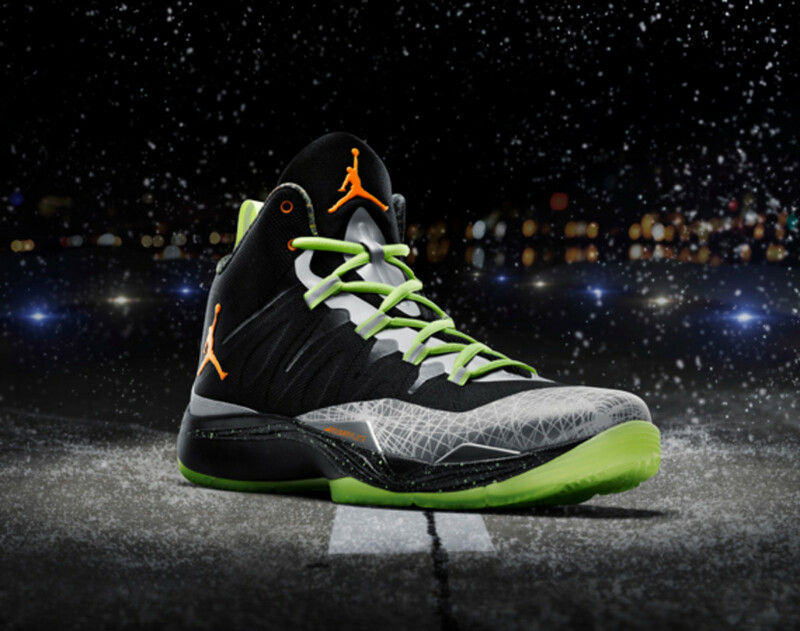 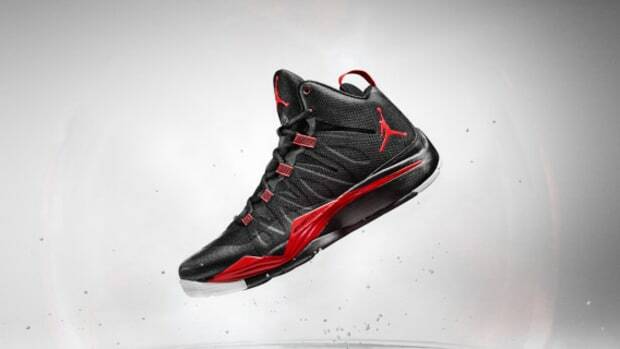 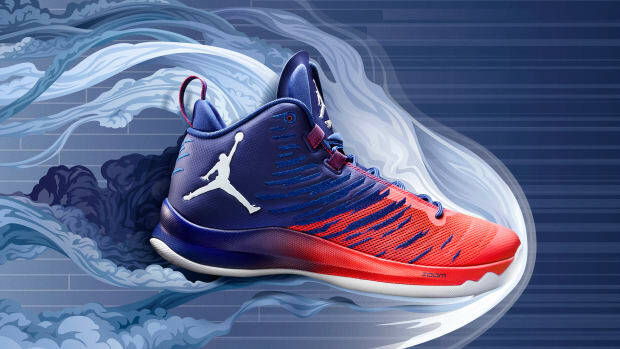 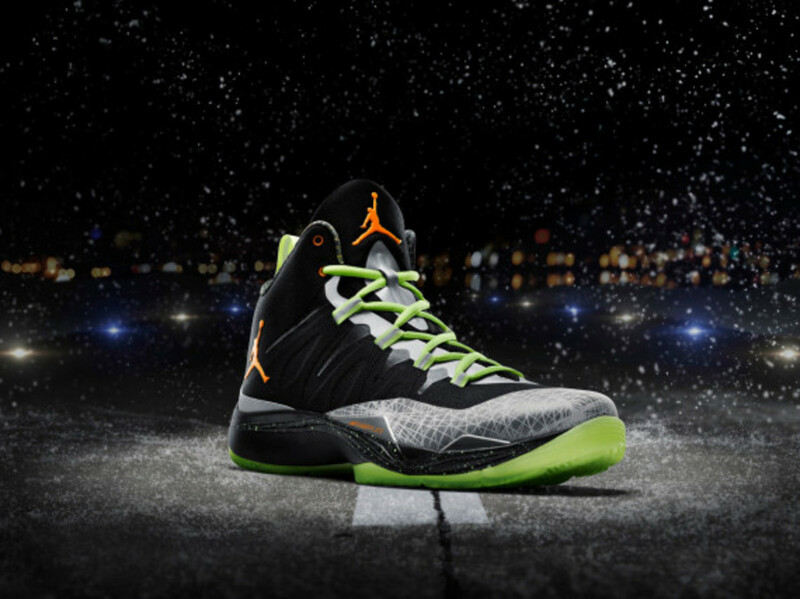 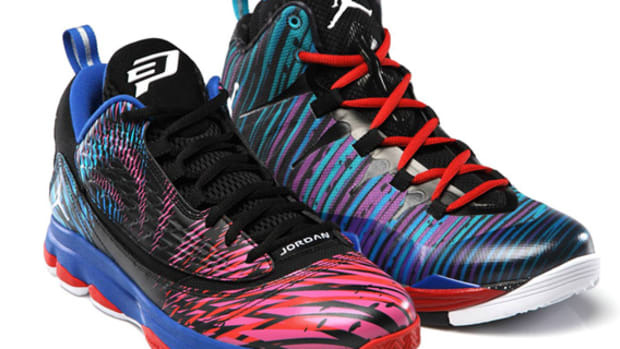 In addition to the Jordan CP3.VII and Air Jordan XX8 SE we profiled earlier, this Jordan Super.Fly2 joins the ranks of Christmas-themed signature shoes from Jordan Brand that are united by the common theme of holiday travel. 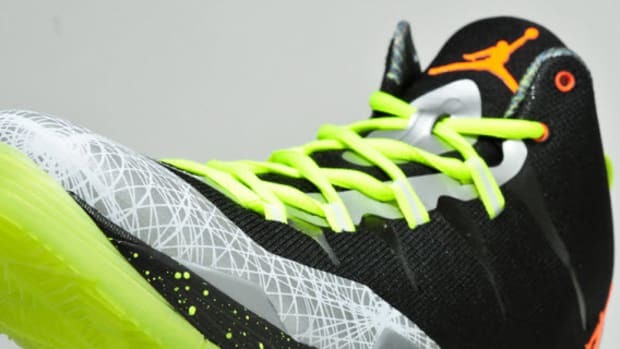 In accordance with the aviation motif, the upper has a subtle aerial radar design that complements a mostly black color scheme accented with hits of neon green and orange. 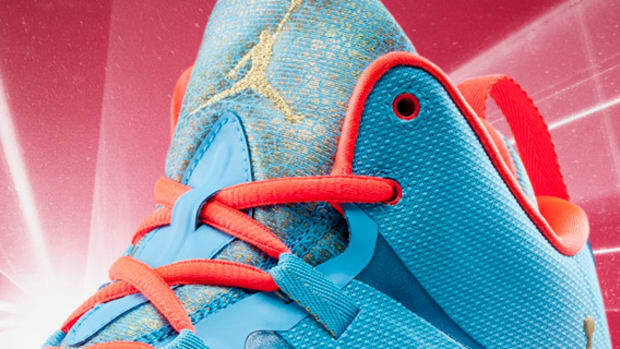 Look for Blake Griffin to don the kicks for a Christmas Day engagement, featuring his L.A. Clippers squad traveling to Oakland for an evening game against the Golden State Warriors. 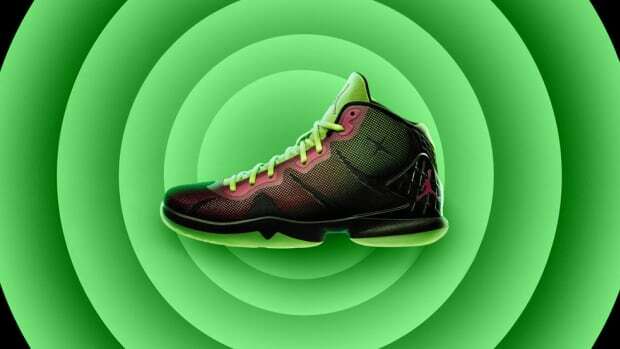 The kicks, meanwhile, will launch in stores the day before.